AUSTRALIA: Following the highly anticipated launch of the Gold Coast Light Rail Stage 2 on December 17, Airtrain is now set to wrap a tram in a unique design developed with customer feedback from December 21 to June 2018, to help passengers recognise the new Airtrain and tram connection and its convenience and affordability. A number of passengers have already experienced seamless travel from Brisbane Airport’s Domestic and International terminals straight to Surfers Paradise and all major stops in between, thanks to the one simple change from Airtrain to tram at Helensvale station. With Gold Coast tourism seeing a 7.2% increase in domestic visitors from June 2016 - 2017, the renowned holiday destination is well placed to attract more travellers in 2018 with the upcoming Commonwealth Games. GoldlinQ (G:link) CEO Phil Mumford said passengers were embracing the extended light rail system more with than 40,000 people riding the G: on the opening day. An online survey by Airtrain of almost 800 participants showed more than 90% of respondents praising the new tram connection. 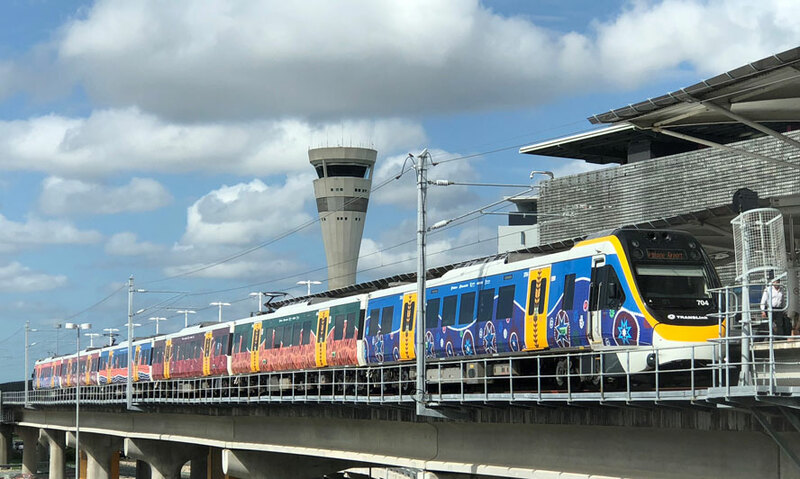 Airtrain CEO, Chris Basche said the tram service greatly assists tourists and locals in accessing the coastal region of the Gold Coast and he is excited for the wrap to help travellers identify the smooth and faster connection from the Brisbane Airport to the beaches. 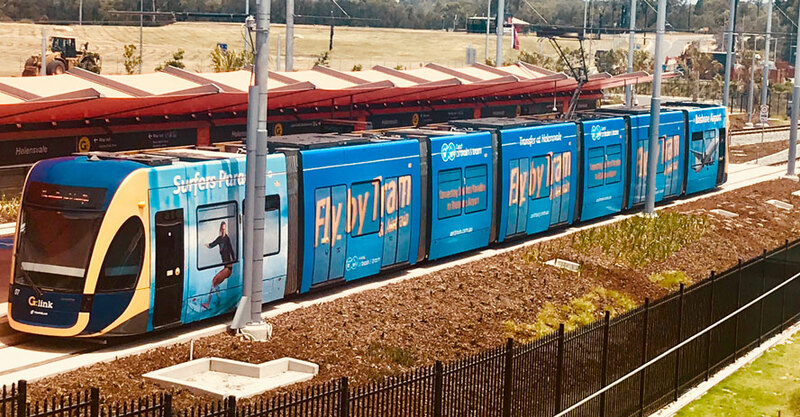 “Thanks to the new tram connection at Helensvale, it has never been easier to travel between Brisbane Airport and Surfers Paradise and the wrap will encourage more tourists and locals to take advantage of the simple connection of the tram service from Brisbane Airport,” said Mr Basche. “We have already seen an overwhelmingly positive response from travellers with hundreds of bookings made for the tram service in recent days since the service launched on Monday. Julieanne Alroe, Brisbane Airport Corporation (BAC) CEO and Managing Director, welcomed the launch of the Gold Coast Light Rail Stage 2, saying the new seamless transport option supports the growing number of visitors travelling via Brisbane Airport to the Gold Coast and beyond. “Currently 23%, or nearly a quarter of a million, of all international visitors arriving into Brisbane Airport travel onwards to the Gold Coast region,” Ms Alroe said. UK: The start of Elizabeth line services connecting London major stations to Heathrow Airport is just a year away. 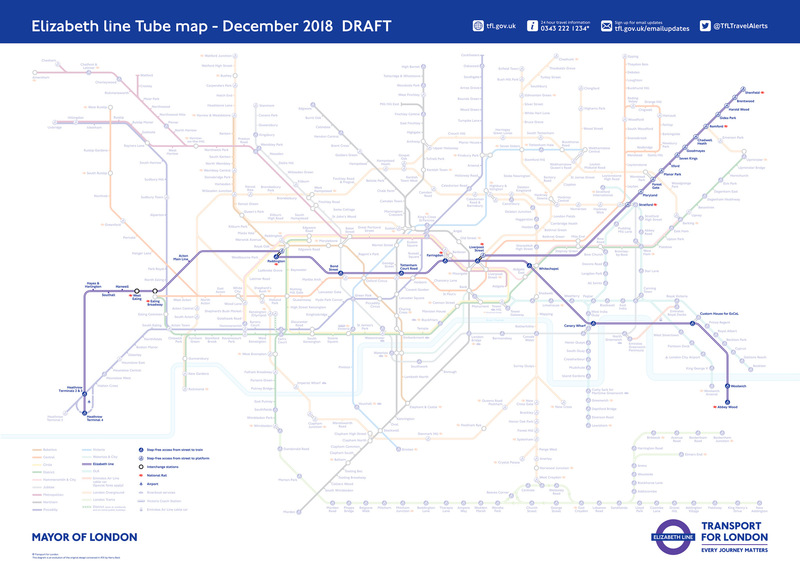 To mark the countdown, Transport for London (TfL) has released a December 2018 Tube map with the Elizabeth line displayed. The construction of the line has now entered its final stages and will open to the public in phases from December next year with initial three services:. From December 2019, customers from Reading and Heathrow will be able to travel all the way through central London to the West End and the City and beyond without needing to change trains. By linking Berkshire and Heathrow in the west, to east London and Essex in the east, the line will transform travel across the South East, carrying over 200 million passengers every year. It will increase rail capacity in central London by 10%, reduce congestion on the London Underground, and an extra 1.5 million people will be within 45 minutes commuting distance of London's key employment districts. Elizabeth line customers will benefit from brand new, longer trains with walk-through air-conditioned carriages, live travel information and free Wi-Fi. All 41 stations will be step-free from street to platform, in addition to the Mayor's target for 40% of the London Underground network to be step-free by 2022. Paul Maynard, Rail Minister, said: "Seeing the Elizabeth line on the Tube map for the very first time is exciting confirmation that we are closer than ever to delivering a transformative change in London's rail network. That means better, faster journeys for over half a million passengers per day, as well as offering new connections that will link people to Heathrow, Gatwick and Luton. USA: The Department of Transportation issued the last environmental approval needed to construct the privately funded Brightline intercity passenger rail system between West Palm Beach and Orlando. Over the next few months, Brightline will finalize the design for the rail infrastructure and the 70-acre Vehicle Maintenance Facility that will be located on Orlando International Airport property. Brightline’s station in Orlando will be located at the Orlando International Airport’s new Intermodal Terminal Facility (ITF) that will be the hub of the future South Terminal complex. The ITF is connected to the North Terminal by a recently completed Automated People Mover and includes a 5,000-space parking garage. 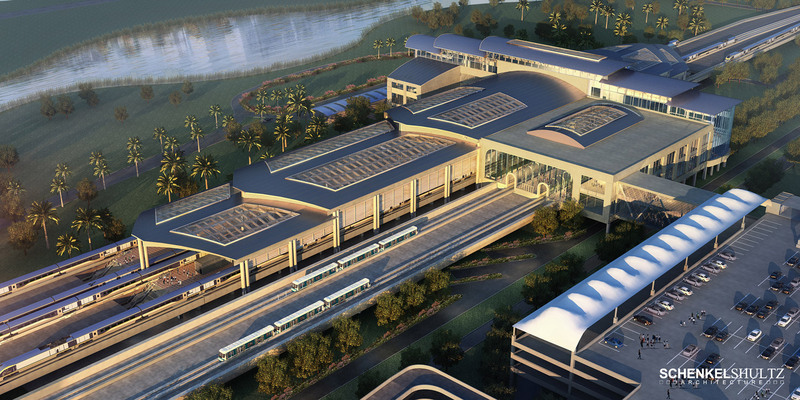 SunRail, Central Florida’s commuter rail system, has a planned connection to the ITF. The completion of the South Terminal will add 16 new gates for international and domestic flights. Brightline will announce the launch date for the start of introductory service between Fort Lauderdale and West Palm Beach soon. The company expects to become fully operational and extend service into downtown Miami in early 2018. MALAYSIA: KLIA Ekspres and the on-demand transportation and mobile payments platform Grab Malaysia have joined forces to offer a promotional package for their customers. Travellers who purchase a KLIA Ekspres single trip plus Grab package online at RM55 can get a free Grab ride (worth RM10) to or from KL Sentral Station. This is the same fare as the normal KLIA Ekspres single trip ticket at the counter. With each single trip package purchased via KLIA Ekspres website, mobile app or kiosk, they will receive a Grab Promo Code worth RM10 each. They can use the Promo Code on a GrabCar, GrabTaxi or a GrabShare ride. Travellers who purchase a KLIA Ekspres Return Trip + Grab package will receive two Grab Promo Codes worth RM10 each. “As Malaysia and Southeast Asia’s preferred ride hailing service, we are always on the lookout for partnerships that will add value to our passengers, business partners and driver-partners. Therefore, this partnership with KLIA Ekspres will definitely improve the overall ride experience for our travellers – both locally and also foreigners, and support our objective of providing convenient and accessible mobility services to all in any way we can,” said Sean Goh, Country Head of GrabMalaysia. “This collaboration will provide a complete airport-to-home travel solution. Ensuring comfortable, convenient, and affordable transportation is a great way to make the start and end of any journey memorable!” said Noormah. Goh further added that with features such as GrabChat (in-app chat system), GrabPay (cashless payment) and GrabRewards (Grab’s loyalty and rewards programme), every ride is made easier because passengers, especially tourists from the SEA region, can communicate with their drivers to minimise miscommunications, pay for their Grab ride without having to fumble for any small change, and above all, get to either use or collect GrabRewards points and exchange them for any local promotion. AUSTRALIA: New Generation Rollingstock (NGR) trains have commenced passenger service on Monday 11 December on the Gold Coast Line. “The NGR trains are essential to meeting demand during the Gold Coast 2018 Commonwealth Games and our team has worked around the clock to ensure they were ready this year. More trains will be rolled out on the Gold Coast to Airport line over the coming months, including some services to Doomben and Northgate, and will eventually operate across the entire South East Queensland passenger rail network," Queensland Rail CEO Nick Easy said. The new trains will operate between Brisbane's Domestic and International airport stations and the Gold Coast, allowing travellers to have a more comfortable and better-informed journey. Brisbane's Airtrain CEO, Chris Basche, said to have NGR trains servicing the network was good news for Airtrain passengers, especially leading up to the Commonwealth Games. “We strive to ensure all of our passengers experience a positive journey when travelling to or from Brisbane Airports and the NGR trains will only enhance their experience,” said Mr Basche. All NGR trains will be Wi-Fi enabled and will feature LCD display screens in each carriage to provide more up to date route and next station information. They will also have more legroom and larger windows as well as 12 spaces dedicated for those who require mobility aids in the middle two cars that will align with assisted boarding points at the majority of stations on the network. Airtrain is the fastest, easiest and most cost-effective way to reach Brisbane and the Gold Coast from Brisbane Airport. It is the sole rail service connecting Brisbane Airport to Brisbane CBD with more than 21 million passenger trips taken in the company’s 16 years of operation. IRAQ:Alstom has signed a Memorandum of Understanding (MoU) with Iraqi government for the development of urban transport in Baghdad and Basra. “We appreciate the opportunity to develop industrial cooperation with the Republic of Iraq, in order to better address the country’s needs for urban transportation. Alstom is ready to bring its innovative technologies and sees the signature of this MoU as a first step towards the development of a long-term partnership with Iraq”, said Bernard Peille, Managing Director of Alstom in Western & Central Asia. 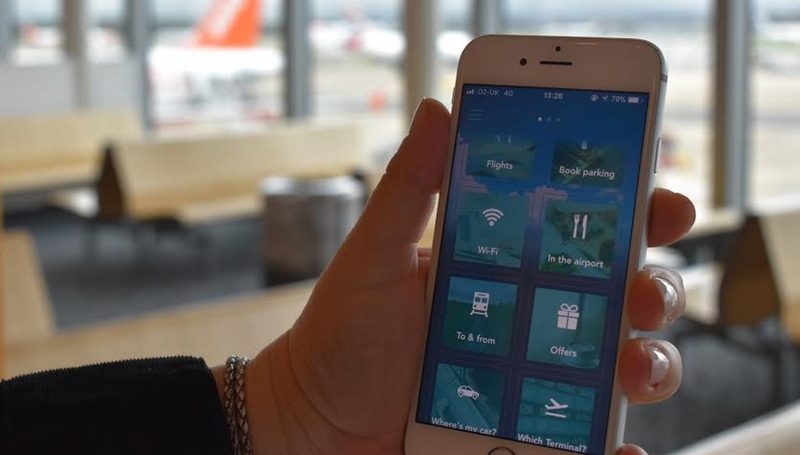 UK: London Gatwick Airport has launched a passenger app providing flight alerts, real-time queue updates for check-in and security, intuitive navigation using beacon technology and shopping, restaurant and airport offers. Gatwick’s new app is part of several passenger-facing digital innovations coming on stream soon including advanced chat bots, augmented reality wayfinding and the airport-wide use of the Internet of Things. Personalised flight information pushed to your phone includes boarding status and gate access, which means passengers can enjoy their time at the airport without having to hunt for flight information screens. USA: The Chicago Infrastructure Trust and the City of Chicago have issued the Request for Qualifications (RfQ) for the O'Hare Express System Project. This project aims to provide express transportation service between O’Hare International Airport and downtown Chicago. This RfQ represents the commencement of the procurement process for selecting the private party that will design, build, finance, operate and maintain the Project. The current total daily number of air passengers traveling between O’Hare and the Chicago Central Business District is approximately 20,000 and is forecast to grow to at least 35,000 daily air passengers in 2045. The Project's aim is to create a better access to the airport and downtown Chicago and cut transit travel times by more than 50%. One of the project goals is to provide service frequency of at least every 15 minutes for the majority of the day and up to 20 hours of service per day. The Project will include two initial stations at the beginning and end points of the corridor, and one maintenance facility. Arlanda Express celebrates its 18th birthday! 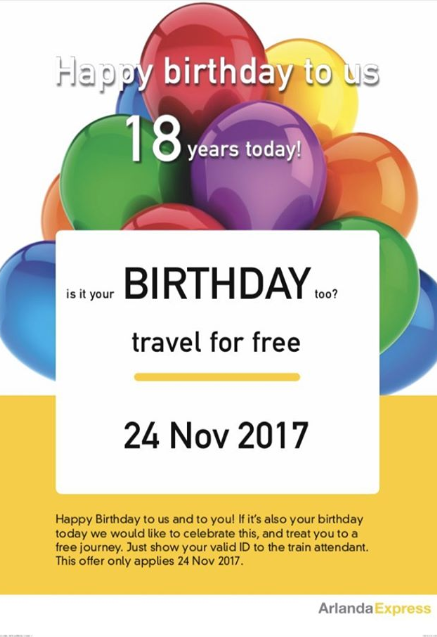 SWEDEN: The express train between Stockholm city centre and Arlanda Airport, Arlanda Express is celebrating its 18th birthday today and invites everyone sharing the same birthday to travel on the service for free. USA: The Port Authority New York New Jersey (PANYNJ) has released its proposed 2018 $3.4 billion Capital Budget that includes significant work at its tunnels, bridges, airports and PATH system, while investing in major projects to replace aging facilities with modern infrastructure. The 2018 Capital Budget aligns with the 10-year 2017-2026 Capital Plan and invests in critical regional transportation projects such as the redevelopment of LaGuardia and Newark Liberty International airports, advancement of the LaGuardia AirTrain and John F. Kennedy International Airport Vision planning, and the extension of the PATH system to Newark Liberty rail link station. The 2018 Capital Budget allocates $1.1 billion to redevelop the region's airport and ready them for the future, including $42 million in planning for an AirTrain system at LaGuardia Airport, $167 million for construction of a new Terminal One and associated infrastructure at Newark Liberty Airport, and $42 million to advance planning for the redevelopment of John F. Kennedy Airport. Importantly, the PATH capital budget also includes $15 million for the continued planning and design of the extension of the PATH system to the Newark Liberty rail link station, a project that will enhance rail access to Newark Airport from lower Manhattan. UK: Bristol Airport has begun preparing a new Master Plan which will set out potential development to respond to increasing passenger demand forecast over the next three decades and beyond. A ten week consultation began on Thursday 16 November 2017 to seek views from the public on its priorities and initial concepts that will guide the airport in its development plans to respond to forecast demand of up to 20 million passengers a year by the mid-2040s. Feedback from individuals and organisations will help shape a draft Master Plan which will be subject to further consultation next spring. Currently the ninth busiest airport in the UK, and the fifth largest outside London, Bristol Airport saw passenger numbers grow by more than 10% in 2016, and will serve more than eight million passengers this year. Existing planning permission is already in place for facilities to handle up to ten million passengers a year, but this capacity is expected to be reached early in the next decade as demand for air travel to and from the South West of the UK continues to rise. Consultation closes at midnight, Friday 26 January 2018. 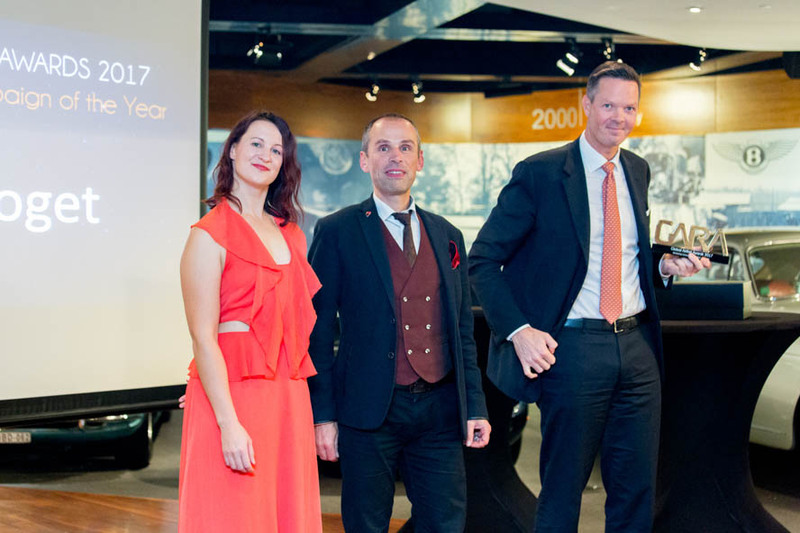 The Global AirRail Awards 2017 ceremony took place in Brussels on Tuesday 14th of November, during the annual Global AirRail Conference organised by the Global AirRail Alliance and co-hosted by the Airport Regions Conference and Brussels Airport Company. 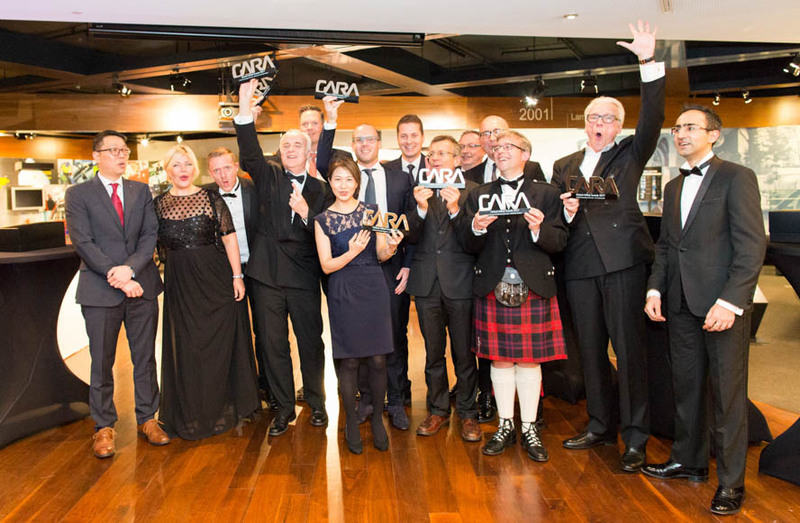 The GARA awards seek to raise awareness of partnerships between airports, airlines, railways and other ground transport operators to improve experience of people travelling to and from airports. "New mobility technologies are emerging fast and changing the entire culture of travel. For public transport to stay competitive in this fast pace world, all the operators, whether in air or on the ground, need to come together and find the best way to join up their services to customers. 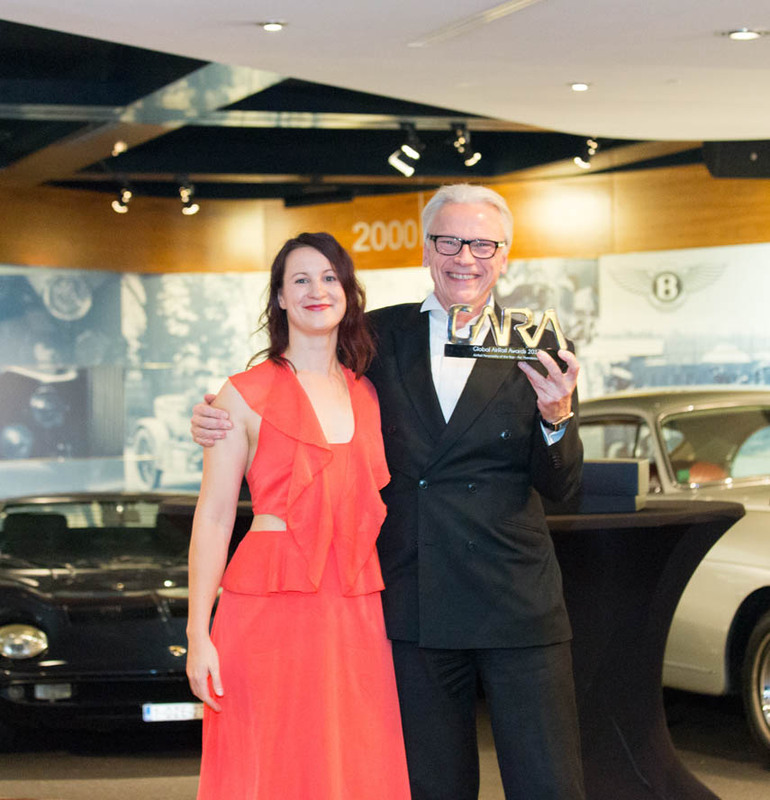 Through the Global AirRail Awards we want to recognise innovative thinking and partnerships that contribute to the future mobility," Director of the Global AirRail Alliance Milda Manomaityte said. Winners were announced in seven categories. This award is designed to recognise the best technology solution that has the greatest impact to business, improving services on air-rail journeys. A new colleague specific application that provides daily briefing and communication platform to employees as well as live daily operational updates and during times of disruption. 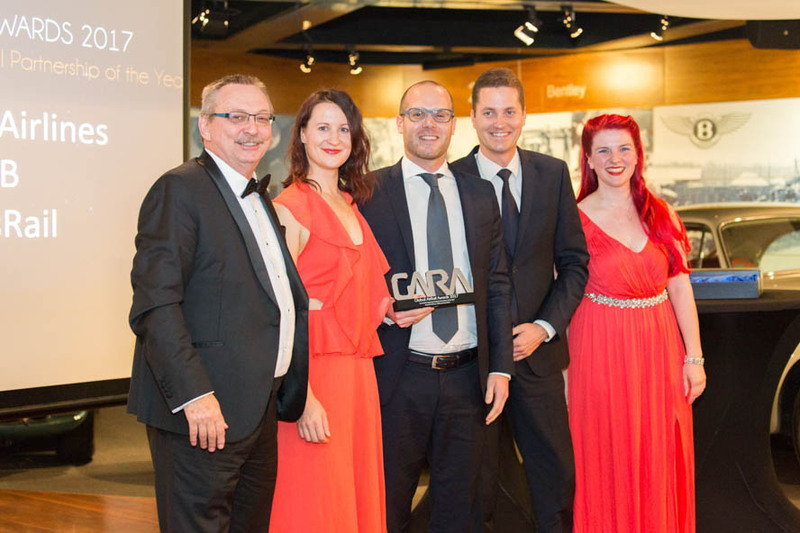 This award is dedicated to recognising the most creative and successful marketing campaigns in the air-rail sector. Due to Flytoget's consistent punctuality, the travel guarantee is an important but very little known feature. The marketing campaign illustrated the exceptional train service punctuality and the value of travel guarantee when unforeseen events do happen. From left: Milda Manomaityte, Director of the Global AirRail Alliance; Alain Vandenplas, Mobility and Intermodality Manager, Brussels Airport Company; Philipp Engedal, CEO of Flytoget. The Customer Service Excellence award looks for the best examples of delivering an enjoyable and stress free journey from air to rail. To increase customer satisfaction MTR's Airport Express Line has conducted a Journey Mapping exercise, identifying key areas for improvement. This resulted in a sharp increase on both service quality and passenger satisfaction ratings. This award is given to a project or an initiative that is contributing greatly to future air-rail services, improving customer experience or engaging with local communities. A railway extension connecting Malpensa Airport Terminal 1 to Terminal 2 opened in December 2016 and in the first six months nearly one and a half million passengers have used the service. The link up represents the first phase of the Malpensa North Rail Access Project. From Left: Christoph Klenner, Secretary General of the European Technology and Travel Services Association; Paolo Mantegazza, Head of Asset Management, FERROVIENORD; Massimo Corradi, Real Estate and Funding Programmes Manager at SEA Milano. This award celebrates successful partnerships between operators, suppliers and organisations, who work together to create seamless air-rail journeys. The partnership was established to implement the intermodal travel in the Austrian market, enabling to book train and flight segments via airline distribution channels. 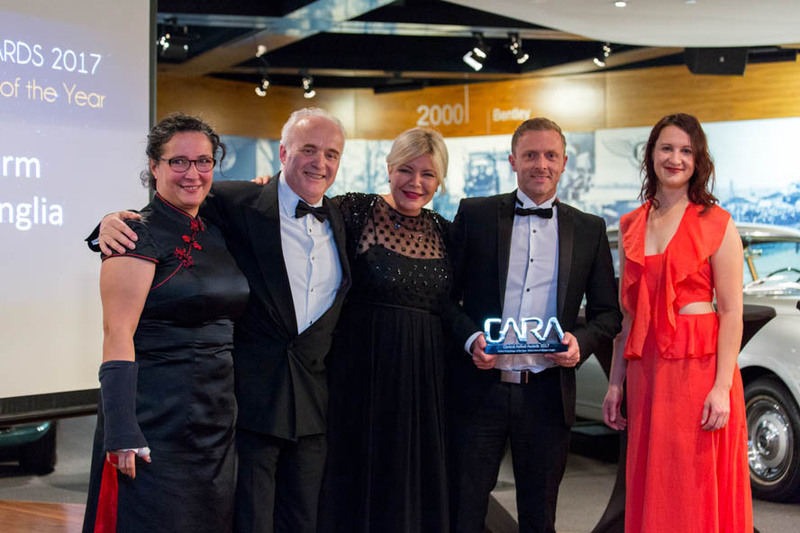 From left: Oddbjorn Taraldsvik, Director Business Development at AccesRail/ACP Marketing; Milda Manomaityte, Director of the Global AirRail Alliance; Oliver Kuselbauer, Partner Manager at Austrian Airlines; Michael Forstner, CEO at City Air Terminal Betriebsgesellschaf; Julianna Moats, Principal Systems Engineer at WSP. The North Star Air Rail Link of the Year award recognises the service with best performance results and highest overall impact to the air-rail market over the past year. Effective communication with customers during disruption time, new off-peak pricing strategy and partnerships with travel management companies helped Heathrow Express to achieve 9% ridership increase, 14% online sales growth and 97% overall customer satisfaction rate. 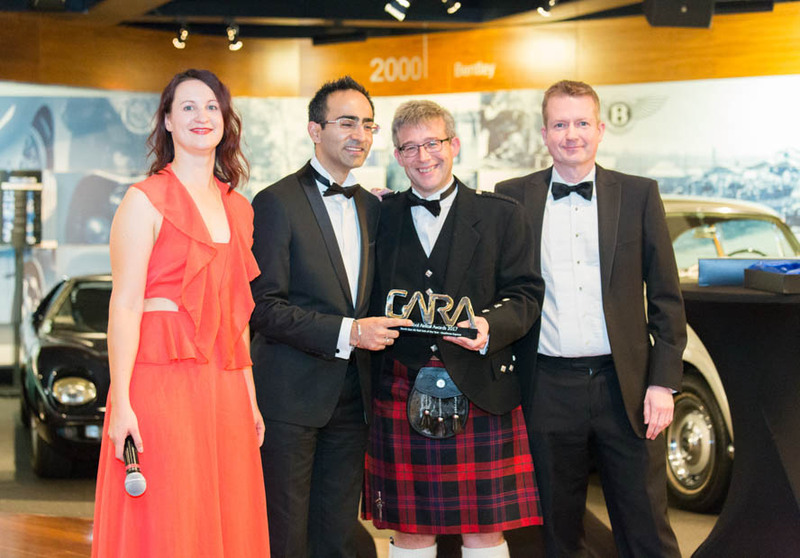 From left: Milda Manomaityte, Director of the Global AirRail Alliance; Karan Suri, Pricing Manager and Fraser Brown, Business Lead at Heathroew Express; Richard Brown, Managing Director of North Star Consultancy. Personality of the Year award recognises the achievements of an individual who has delivered a great positive impact to improving and promoting air-rail journeys. Per is an inspirational leader for Arlanda Express and has created a strong culture of collaboration for his staff. 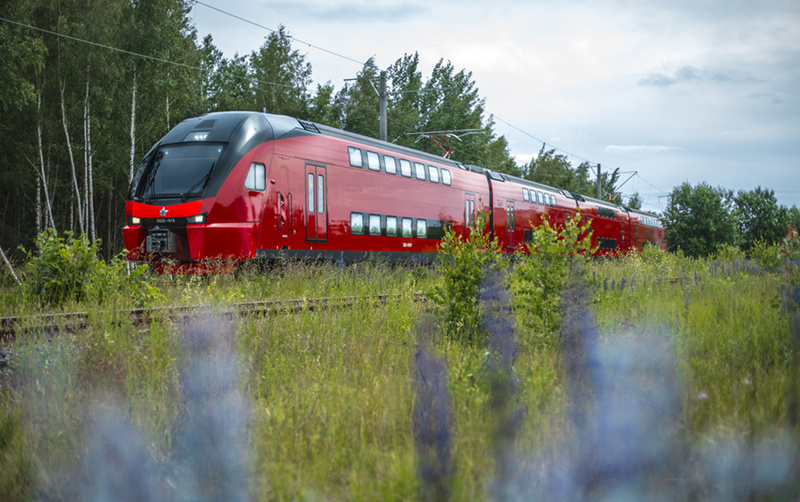 Under Per's leadership Arlanda Express dares to be a little different and stand out while providing an exciting experience for millions of passengers. From left: Milda Manomaityte, Director of the Global AirRail Alliance; Per Thorstenson, CEO of Arlanda Express. RUSSIA: Russian Railways is building a new 1.2km rail link connecting Volgograd's international airport to Gumrak station. The journey on electric trains between the airport and the suburbian station of Volgograd-1 will be about 30 min. Russian Railways will also build a dedicated station next to the airport terminal. The project is funded by Russian Railways and is estimated to cost some 40 million euros. INDIA: Three Nagpur metro rail stations at Khapri, New Airport and Airport South are scheduled to be completed by the end of the year, Managing Director of Mahametro Brijesh Dixit said. According to the Nagpur Today, the New Airport station is being build in Indo-Saracenic style fused with Buddhist architecture. It will have an eight-foot statue of Buddha placed under a 13.4 meter dome. Green will dominate at the Airport South station, with glass walls and steel sheet roof. The upper floor of the station will have a grand hall where conventions, weddings and other events can be held. 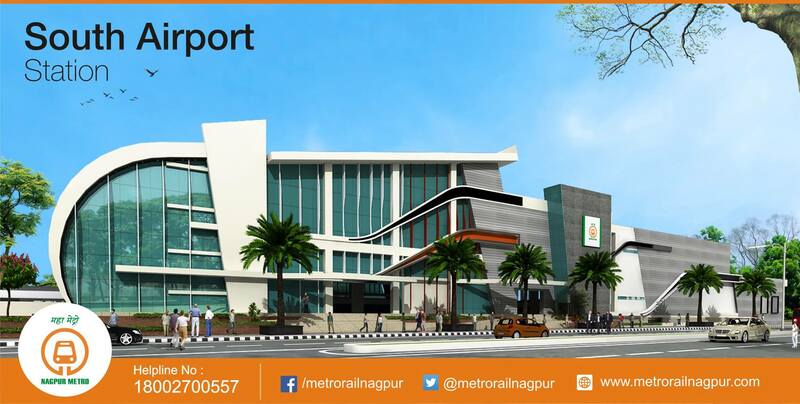 Nagpur Metro Rail Project is a 38.2 km metro corridor with total of 37 stations and 2 Depots. The entire stretch will be divided into 2 corridors - North-South and East-West. The North-South corridor will connect the Dr. Babasaheb Ambedkar International Airport with the Sitaburdi Interchange, where the two lines will meet. 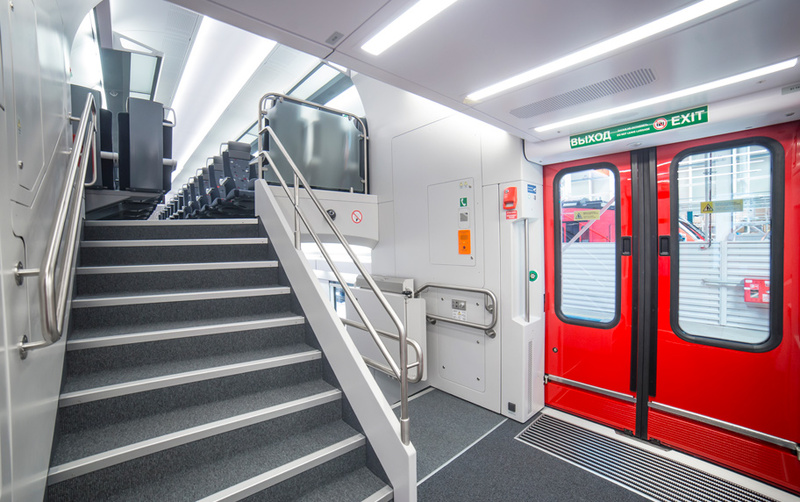 RUSSIA: Aeroexpress has placed into operations the first of the new Stadler built double-deckers trains on the Vnukovo airport route. From next month the new double-decker trains will also run on the Domodedovo Airport line, the company has announced. Stadler has specifically designed the double decker trains for Aeroexpress as part of their rolling stock renewal programme in preparations for the 2018 World Cup. Aeroexpress has already completed the construction of a new platform for Domodedovo airport and is currently building a second one, as well as executing reconstruction works on the platform in Paveletsky railway station. As part of the preparations for the major sporting event next year, Aeroexpress has modernised the wifi network. “Vnukovo Airport serves more than 60 thousand passengers daily and for we strive to create the best customer experience for each one of them. The launch of the new double-decker trains to our airport is a very important step towards the improvement of airport access infrastructure,” Vnukovo International Airport General Manger Vasily Alexandrov said. In total four double-decker trains are planned to be put in operation by the end of November on the Vnukovo Airport line and seven trains will run to Domodedovo airport before the end of the year. USA: The Port of Seattle has announced a one dollar per trip fee increase starting November 1 for transportation network companies (TNC’s - such as Uber, Lyft and Wingz) serving Seattle-Tacoma International Airport. This is the first change in the per trip fee since the launch of a pilot program in April of 2016 which has seen the number of app-based transportation services more than triple at Sea-Tac Airport. The increase was informed by 18 months of trip data and market analysis. Overall, ground transportation trips are up 13% from last year and demand for TNC services continues to soar. Compared to last year, TNC trips are up 87%, requiring more staff and operational changes to the airport parking garage and off-site holding lot. Ground transportation fees will go directly to support airport maintenance and projects such as improvements in the walkway from the terminal to the light rail station, enhanced wi-fi service, and lighting and safety improvements in the airport garage. The $6 per trip fee is in line with fees charged by many other airports. Even higher fees of $7–10 per trip are charged by airports in San Francisco, Washington D.C., Los Angeles, Cleveland, Orlando, Chicago and Detroit. Customers using on-demand/for hire taxis and other ground transportation services will not see any change in rates charged by the Port. The Port monitors ground transportation trends and will issue a comprehensive study by the end of 2017 or early 2018 to include current trends and inform future policy decisions. Overall ground transportation trips are up 13.1% versus 2016 with 2,855,128 trips year to date in 2017. For the month of September, overall trips were up 8.6% with 335,754 compared to 309,303 in September of 2016. TNC’s have grown from 39,975 during the first month of operation at Sea-Tac in April of 2016 to 120,803 during September of 2017, a 202% increase. September of 2017 saw 120,803 TNC trips compared to 74,405 last year, an increase of 62.4%. On-demand taxi and flat-rate activity dropped 2.7% in September of this year (67,280) compared to the same month in 2016 (69,141). Through September this year, on-demand taxi and flat-rate trips numbered 583,953. Based on numbers through September, on-demand taxi and flat-rate provide 20% of the overall ground transportation services while TNC’s provide 33% and all other ground transportation services provide 47%. NEW ZEALAND: Auckland Mayor Phil Goff has welcomed the Government's announcement that it will allow Auckland to introduce a regional fuel tax to fund investment in the city's transport network including light rail to the airport. Mayor Phil Goff said, "During the mayoral campaign I advocated for a regional fuel tax to fund Auckland's transport needs. "Light rail will help decongest our roads and provide a 21st century gateway to visitors to Auckland. It will also allow for more intensive housing development around transport hubs bringing economic benefits to those suburbs it travels through. According to the mayor, a fuel tax is effective, cheap, and easy to administer. It will help ensure that Auckland can pay its share of the nearly $27 billion expenditure on transport infrastructure over the next 10 years. "Without this level of investment our rapidly growing population will worsen the congestion on our roads with mounting costs in frustration and lost productivity. "A regional fuel tax of 10 cents a litre will raise twice as much money as the Interim Transport Levy to invest in new transport infrastructure. It will also be much fairer by relating the money paid to use of our roads. "Transport investment in Auckland is a partnership between Government and Council, and I look forward to discussions with the Prime Minister and Minister for Transport in the coming weeks to begin work to introduce the fuel tax in Auckland as quickly as possible and agree on the funding and transport priorities over the coming decade," Mayor Phil Goff said. MALAYSIA: Express Rail Link Sdn Bhd (ERL) was named the Best Operator (Railway) at the recent Land Public Transport (LPT) Gala Dinner & Industry Award 2017 organised by Suruhanjaya Pengangkutan Awam Darat (SPAD) in conjunction with its annual LPT Symposium themed Reimagining Transportation: Sustainable Mobility. ERL received the awards for Best Customer Service and Best Safety Practices at the awards ceremony last year. “We are truly honoured to receive this award and we would like to thank SPAD for this recognition. It will certainly inspire us to work even harder and to continue our commitment to provide the highest level of service to our passengers. They can look forward to improved services, better travel experience and more value-for-money deals in the near future,” Executive Chairman of ERL, YBhg Tan Sri Mohd Nadzmi Mohd Salleh. ERL purchased six new trains manufactured by CRRC Changchun Railway Vehicles Company Limited; two for KLIA Ekspres and four for KLIA Transit. The new trains are currently undergoing intensive testing and commissioning. 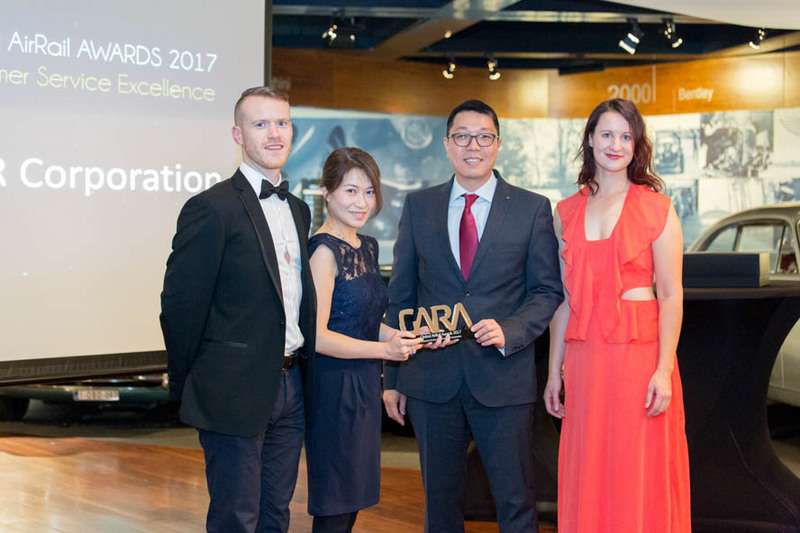 ERL also received the Outstanding Green Air-Rail Transport Award at the Malaysia Canada Business Council 25th Anniversary Business Excellence Awards Gala Dinner in May this year. UK: Strategic railway consultancy, North Star has released its 5th Annual Global Air-Rail Market Intelligence Report, looking into global trends in airport rail link services. The report is based on a study of nine leading air-rail operators across Europe, Australia, Asia and South Africa. “The findings again clearly indicate that air-rail services continued to be a vital component of global aviation, in fact, across our sample of nine operators, more than 44 million train passenger movements were experienced during 2016," North Star’s Managing Director, Richard Brown said. However, the report concludes that the combined market share index for the nine operators show a slight decrease in people choosing rail when travelling to and from airports around the world. More specifically, three operators within the study showed some market share growth, whilst six experienced a decrease. North Star’s findings indicate that operators all face growing competition from new transport providers, such as Uber and similar car-sharing companies. “This has been the main driver for the slight decrease”, explains Brown, “and this disruption trend, let’s call it the ‘Uber-effect’, will only continue”. In response, the operators report an increasing need to enhance marketing and service delivery to address the challenge. The findings also reveal that marketing spend varies greatly amongst the air-rail operators, with many continuing to focus their marketing on reliability, price and the perception of value. Other outcomes of the study indicate that higher market share is experienced by air-rail operators who have the greatest price advantage over the standard taxi or car-sharing services. Trends also indicate that car-sharing services into capital city inner suburbs is on the increase. Richard Brown will present the study’s findings at the Global Air Rail Association’s conference in Brussels on the 13th & 14th November 2017. 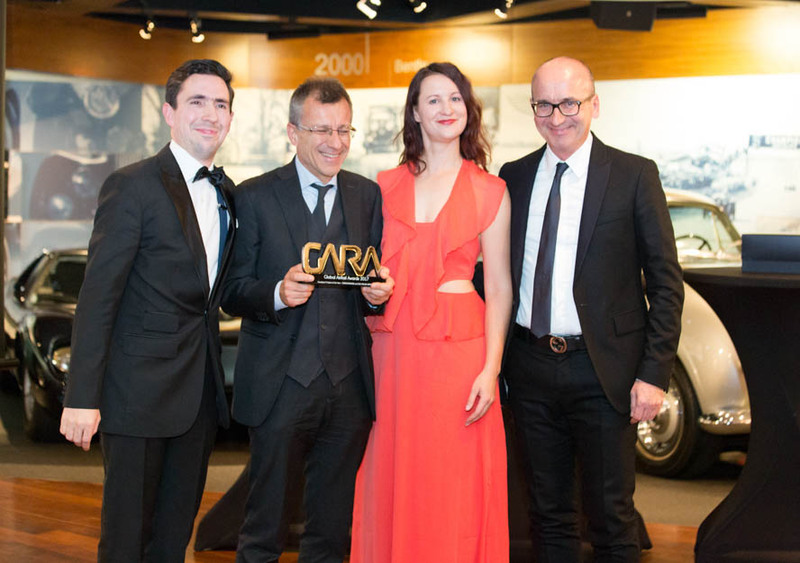 EVENTS: Brussels Airport has joined the annual Global AirRail Conference and Awards 2017 as one of the hosts. Each year the event discusses key challenges in providing multimodal access to and from airports, focusing on improving rail connectivity for passengers and employees. Over the past few years, Brussels Airport has grown into a multimodal transport hub and an economic powerhouse in the heart of Europe, contributing 1.8% to the national GDP and with an added value for Belgium of EUR 3.2 billion. Commercial passenger flights and cargo activities at Brussels Airport generate direct and indirect employment for 60,000 people. “Brussels Airport aims to improve the connections between the various means of transport. The intermodal hub at Brussels Airport can be extended further with more trains and buses, and with a tram and bicycle network. This will give passengers and Airport Community staff more options for travelling to and from the airport, as well as transferring at the airport on the way to their final destination," says Alain Vandenplas, Mobility & Intermodality Manager of Brussels Airport Company. The Global AirRail Conference and Awards is taking place in Brussels on 13-14 November and is a partnership between the Global AirRail Alliance (GARA), an organization promoting rail access to airports, and the Airport Regions Conference (ARC), an association of regional and local authorities across Europe with an international airport situated within or near its territory. "I am very happy to welcome Brussels Airport as our hosts and grateful for their support in bringing the Global AirRail event to Brussels. The Airport is at the centre of our discussions on how to improve access for all of its users and we have set up a very engaging programme for our conference delegates," said Milda Manomaityte, Director of the Global AirRail Alliance.